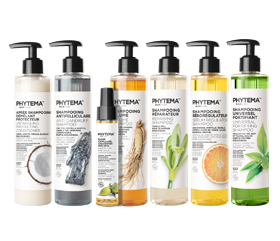 Phytema™ Laboratoires offers natural and organic cleansers for face and body. 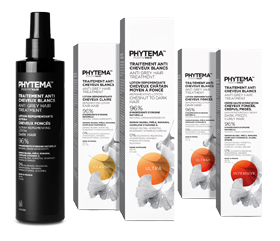 These products remove impurities and day-to-day pollution, yet are gentle on your skin. Cleansing is an essential part of a daily skin care regime, serving to eliminate the layer of impurities that builds up on the skin's surface. It is important to use a different cleanser for face and body. This is because the skin on your face is more sensitive than elsewhere on your body, so it requires greater care and the use of soaps that are suited to your skin type. Furthermore, the skin on your face may require a particular type of treatment, owing to its condition, so you must take care to choose appropriate products. Skin that is a little too oily, for example, will require an organic facial cleanser that regulates the excess sebum and thus enables the skin to re-establish its normal balance. Using a gentle natural and organic exfoliator will remove dead skin cells, thus preparing the skin so that it can draw the greatest benefit from the treatments you apply. Your complexion will glow as a result!